Larry Tee, aka TZUJI, is a musical pioneer whose sets are celebrated for their eclectic mix of contemporary New York house, electro and techno. He has played alongside Larry Levan at Mars NYC and rotated with Frankie Knuckles weekly at the Roxy NYC. 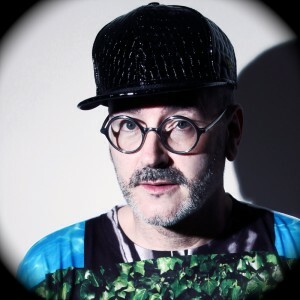 Larry also wrote the 5 million selling anthem ‘Supermodel (You Better Work)’ for reality TV sensation Rupaul and created ‘electroclash’ as a name for his music festivals of the same name. His club night at Limelite, Disco 2000, was made famous in the movie Party monster. We went on to throw events that featured acts like Radioslave, Trentemoller, and Loco Dice. Larry Tee has lived in London for the last 5 years and djed the long-running Wut Club and SEPM FRidays at XOYO and East Bloc. The nights featured acts like Years and Years, Zebra Katz, Brooke Candy, Conchita Wurst, Charlie XCX, Amanda LePore, and Peaches. Now, Larry Tee has moved to Berlin to work on new music and continue his journey as a DJ. His latest project Super Electric Party Machine explores deep house with soulful songstress Portia Williams and ‘ballroom’ with his track Karl Lagerfeld featuring Mike Q. There are other tracks featuring Princess Superstar (with whom smash ‘Licky’ that also featured Santigold) and Roxy Cottontail (whom Larry has a #1 Beatport hit with in 2011 feat. Afrojack).